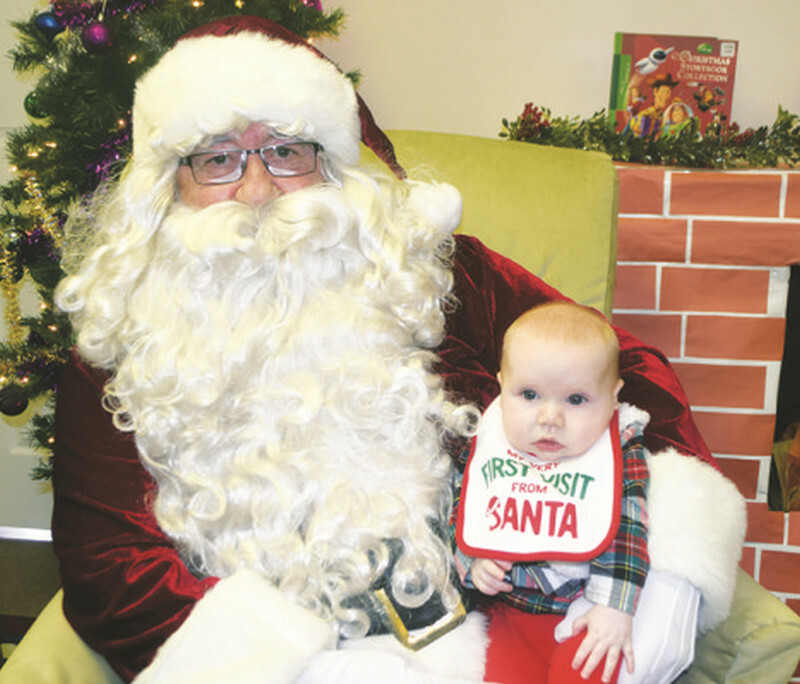 A smiling Ddendyl Sheane, 3, sits on Santa Claus and shares her list. Hope she gets all the presents she wants for Christmas! 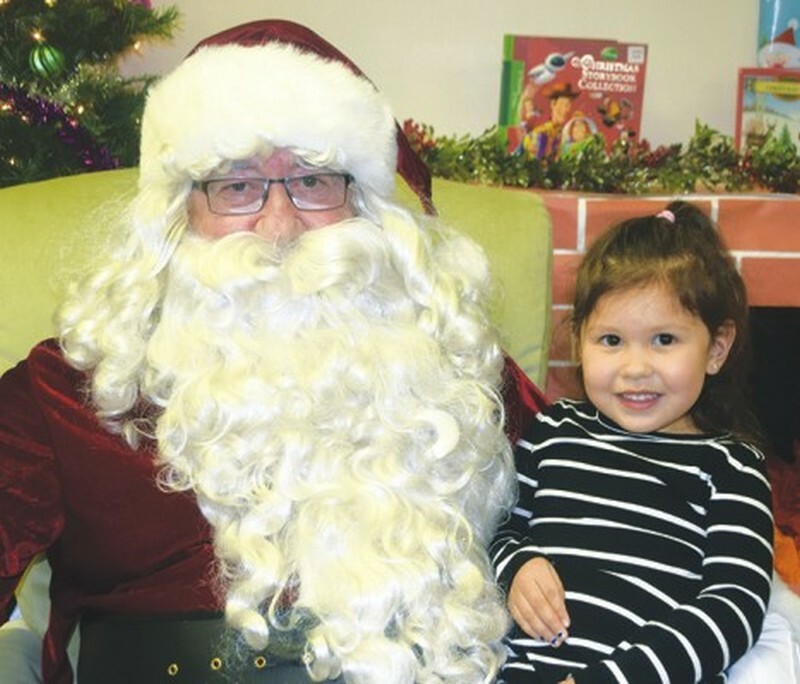 High Prairie and District Children’s Resource Centre hosted its annual Little Elves Christmas Party on Nov. 24 at the High Prairie Children’s Centre. Children up to six years of age enjoyed a variety of activities such as crafts, songs, stories and lunch. About 50 people attended. The event is traditionally held the same day as the town’s Christmas Light-Up, the final Friday of November. Maisie McPhail, four months old, sits on Santa Claus for the first time as she celebrates her first Christmas. Children created a Christmas wreath. 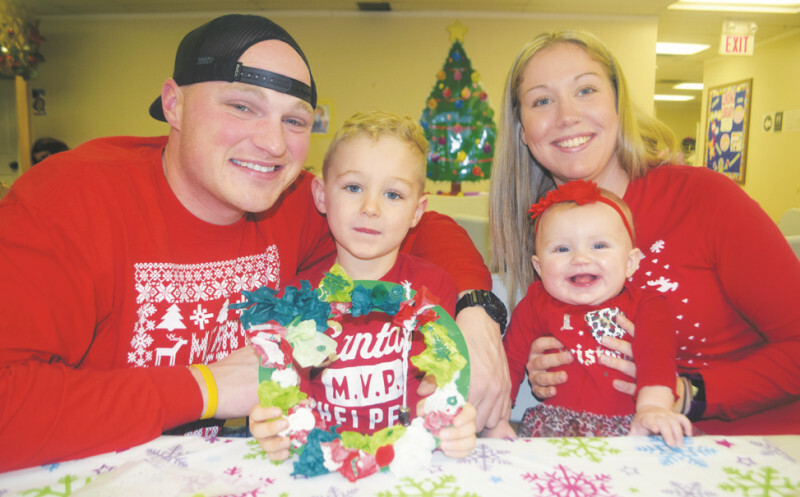 Left-right, are father Tyler Bell, Kingston Bell, 4, Peyton Bell, eight months, and mother Jennifer Bell. 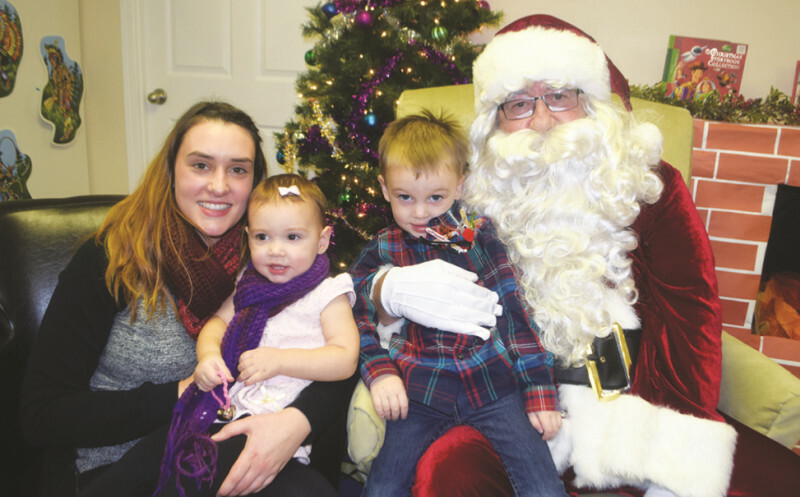 Lincoln Miller, 3 1/2, sits on Santa’s knee while sister Lauren Miller, 1 1/2, and mother Amber Miller join in. 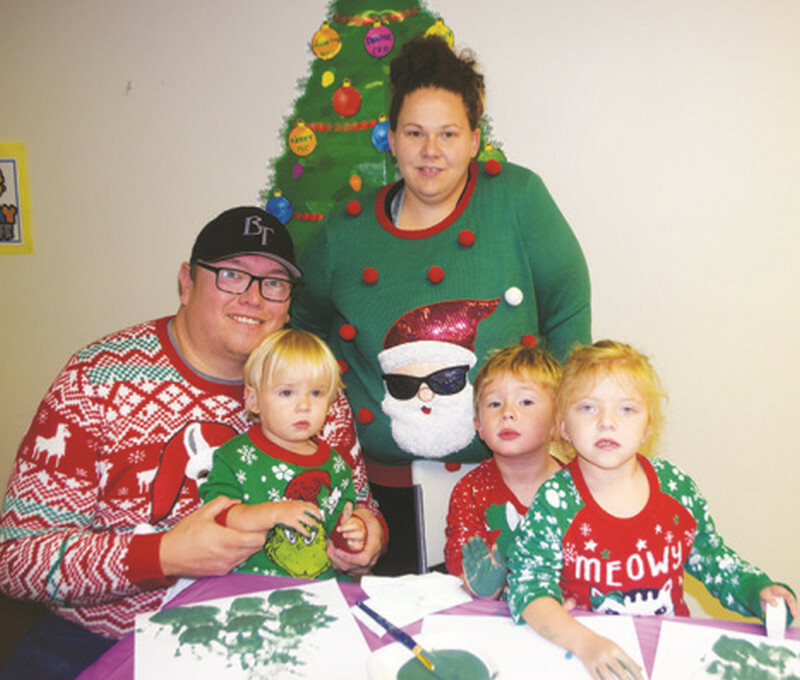 Brian and Amanda Lamarche help their children, left-right, Dash, 2, Declan, 3, and Aria, 3, make Christmas trees. 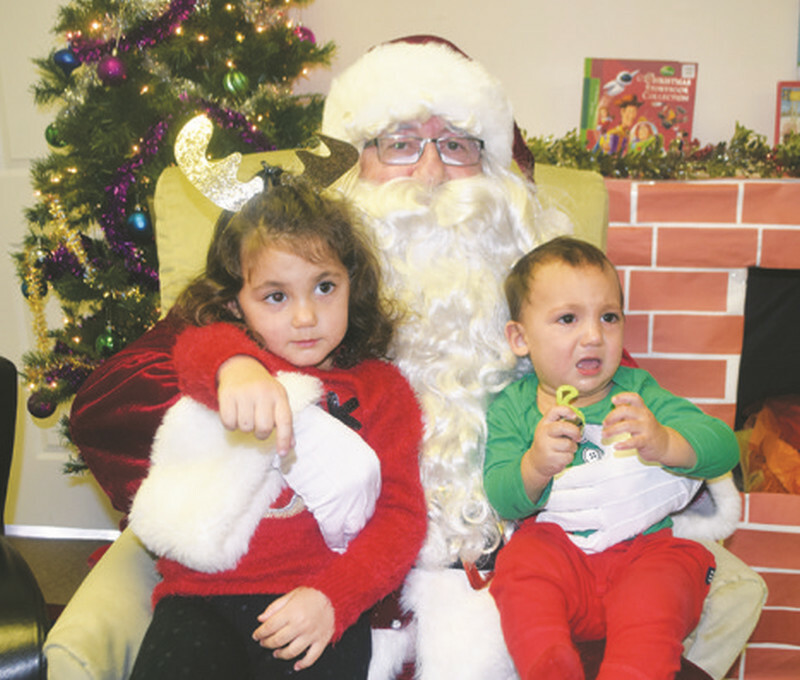 Livia Jaswal, 8, left, and Arian Jaswal, right, of Kamloops, on Santa Claus. After telling him the presents they wanted, of course!